Make your own robot! 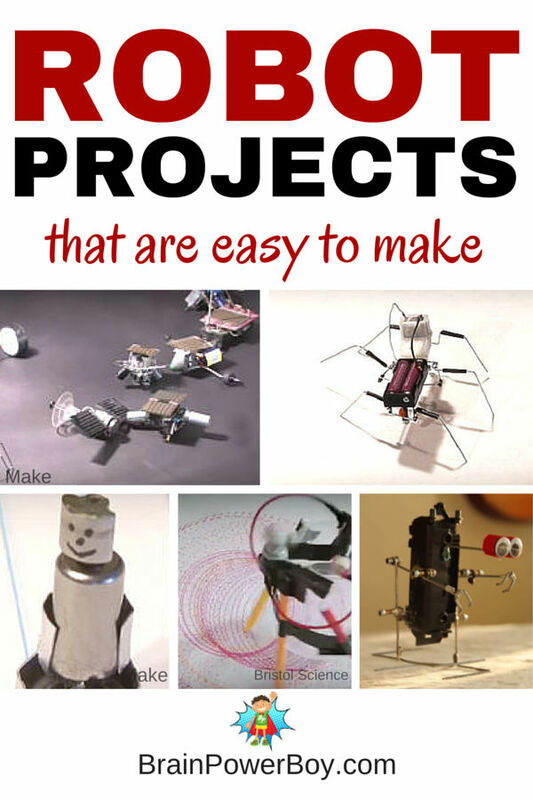 These easy robot projects are just the ticket for getting started making your own robots at home. Getting kids to make their own robots is not only fun but an awesome educational experience. Use this new Homeschool Unit Study to get started. We gathered together a selection of the very best make a robot videos from YouTube and put them here for you and your kids. Don’t want to go DIY? Grab a cool kit now! I know some of you will want to do these projects with your kids but you don’t have the supplies on hand and you don’t have a lot of time to mess around finding everything you would need. If that sounds like you, just grab these inexpensive kits to start and see if your kids enjoy doing them. If so, you can always move on to the DIY robot projects below another time. Miniature Robots Workshop from Make. This video provides directions to a few different types of robots. He says you can get more information on the website–here is the link as it is kind of hard to find. Make your own walking robot video has full instructions. This one is so funny–click to watch him go. It is a bit complicated but it would be great for an older child or you could work on this project together with your kids. Once you get that one together you can try the robot video below. It uses the walking robot and adds this feature: avoiding obstacles. The next robot in our lineup is something a bit different. A Boat! Yes, you can make a rowing robot that makes a boat go in water. Neat! I had not thought of a climbing rope robot but what a great idea. It looks like a spider! I am amazed at how it climbs the rope. This bristlebot robot really is better than the others I have seen. It runs really smoothly. This is an easy robot project for younger robot fans. 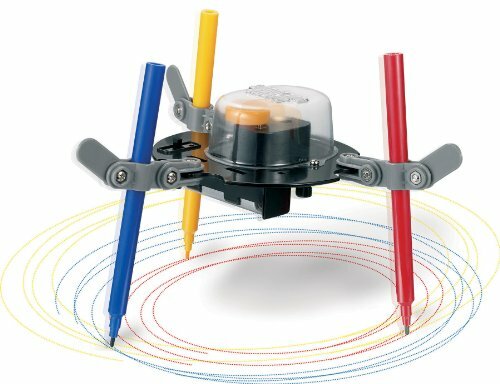 Make a Crazy Dizzy Robot! How about a dizzy robot? This one is pretty funny and only requires a few parts. Watch the robot video for everything you need to know to make your own. 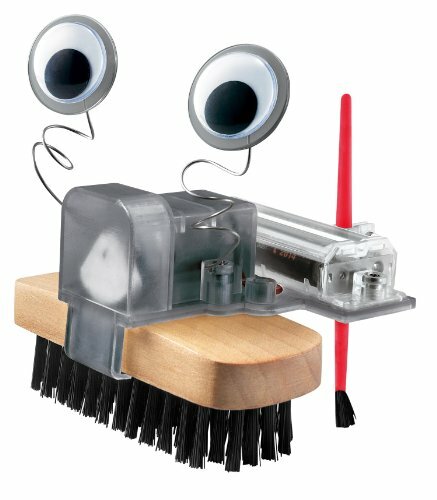 Scribblebot! I have seen a few of these drawing robots around but I simply love how they put this one together to make such neat scribbles. Great video instrustuctions that are clear and easy to follow. Last, but not least, we have this nifty walking insect robot – it reminds me of a walking stick. Very neat! The robot projects take a bit more work but it is totally worth trying. These robot making videos are so neat, the projects are easy, and the robots are a blast to put together and play with. 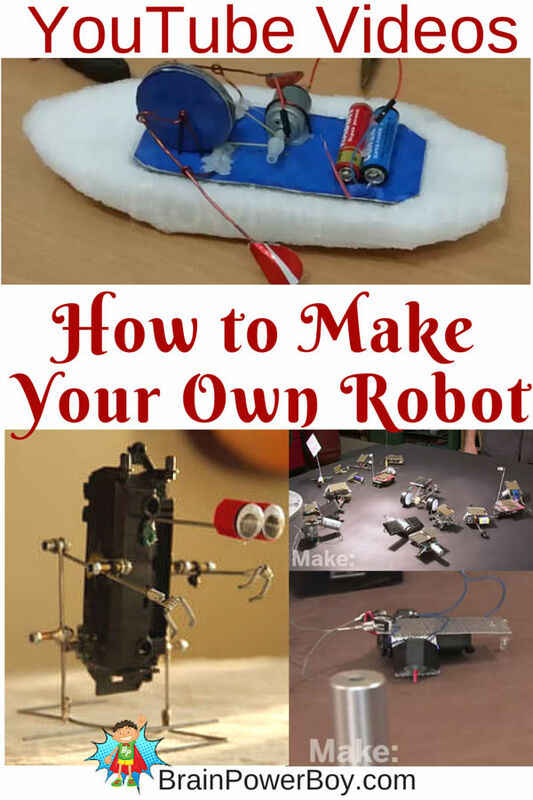 I hope you have fun with these different ways to make your own robot. For more robot ideas see our Homeschool Unit Study Robots article. There are a lot of fun activities there, as well as robot ideas for younger boys. Oh wow so many cool ideas – I’m going to have to watch a few of these videos myself! My son is SO into creating new things with our Lego bricks. I bet he will love these videos. I see our Amazon cart filling up soon! You are most welcome. My site is gender specific and I work really hard to find things that would appeal to boys. The whole focus of Brain Power Boy is to help people raise boys who love to learn. I didn’t, nor would I ever, say that robots are only for boys. Thanks for stopping by. I’m not a homeschooler, but I totally see us doing this over summer vacation. Thanks for the inspiration! Great–I hope you do. I do homeschool unit studies but they are most certainly not only for homeschoolers. Unit studies are so great for anyone wanting to learn about any topic under the sun. Enjoy. So many great ideas, I cannot wait to try them out with my children!! Thanks Angela — Have fun! These are so cool! My boys are a little young for these still, but I’m going to pin it for when they’re a bit older. I have one especially who loves to do experiments; this would be right up his alley. Thanks Lauren, I have one of those loves to do experiments boys too–if it is the right sort of experiment. I love this! I showed Mason some of the videos and he’s excited to try one out. Super Erica 🙂 Glad he is excited. My kids may be a little young but I am sure that I could make this a fun activity with my daughter. Thanks Sheila! Thanks for stopping by Pamela and for the nice comment. Cool ideas! Thanks for sharing on the Thoughtful Spot Blog Hop! Thank you Alison. I hope your kids enjoy the projects. Monica, Thank you for stopping by and for the feature! 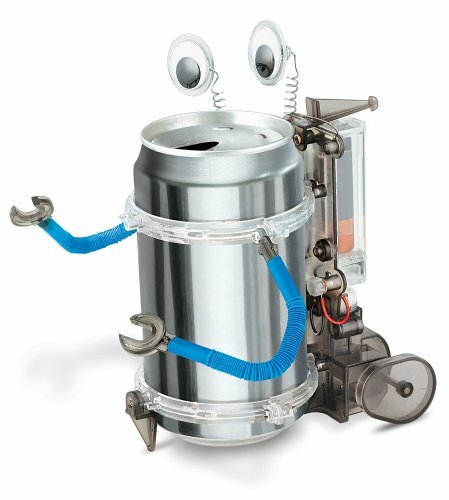 I’m glad to have another recommendation for the Tin Can Robot Kit. It’s a good one.